Not sure why, but I have decided to move onto a unicorn theme this week. Maybe due to the Starbucks craze right now with the drinks or maybe because as a child I always found them colorful and fun. 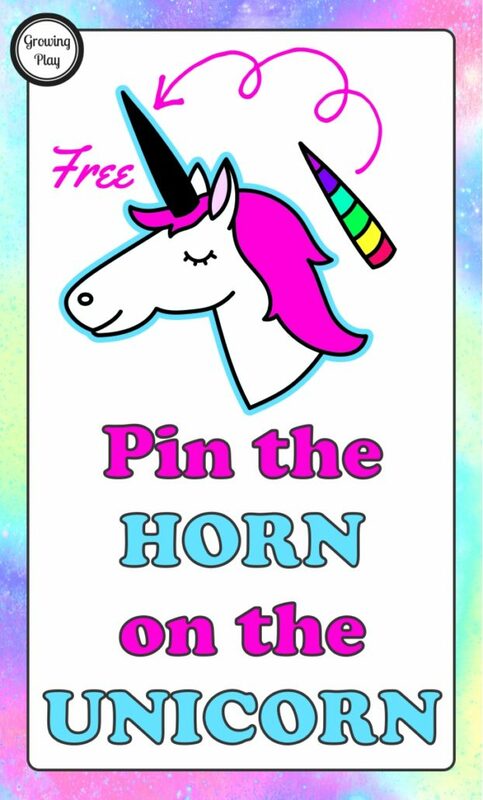 Regardless, I am kicking off the theme with Pin the HORN on the UNICORN. It happens to rhyme too! 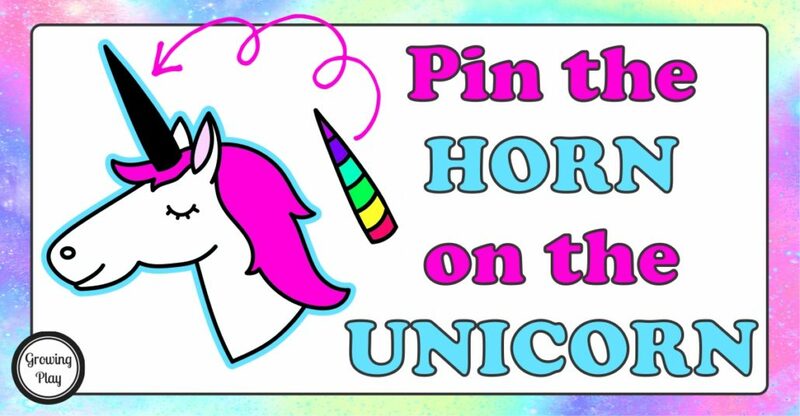 I assume you all know how to play Pin the Horn on the Unicorn correct? 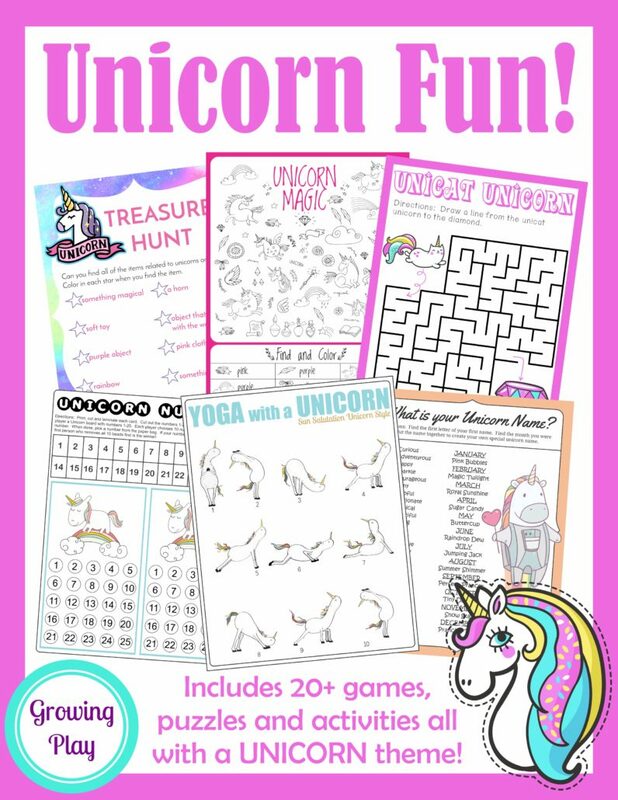 OK maybe not… It is the exact same game as Pin the Tail on the Donkey but who wants to play that after a delicious Starbucks unicorn drink or at a little girl’s birthday party? Not us, we want to be trendy so we are going with this version. 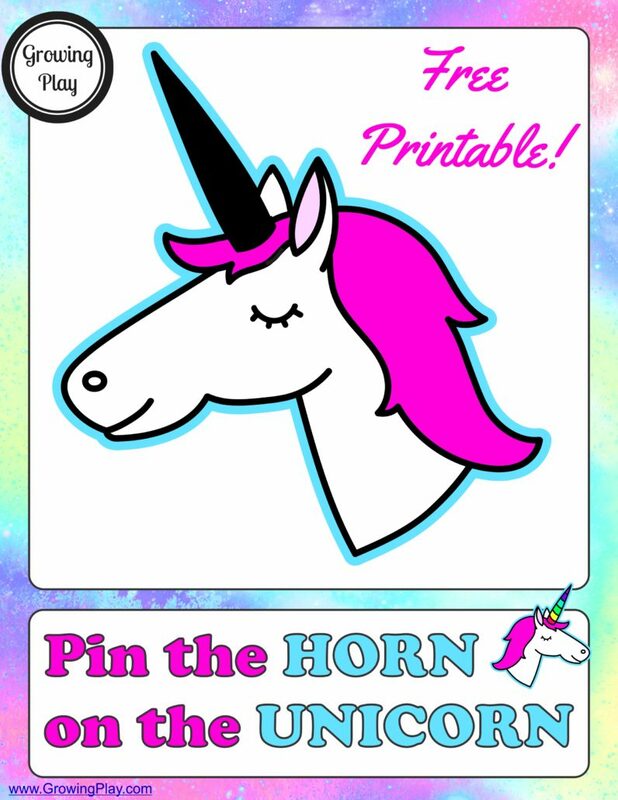 You can print out the color horns or it is also on a black and white template if each player wants to color their own unicorn horn. How to Play Pin the HORN on the UNICORN: Hang the unicorn poster on the wall. Cut out the horns and put double stick tape on each one. Give each player a unicorn horn. Put a blindfold on the first player or cover their eyes. Spin the person around 3 times. The player tries to stick the unicorn horn on top of the black horn. The player whose horn is the closest to the black horn is the WINNER! You can download your FREE game by entering your email below and you will be redirected to the game to print and play!